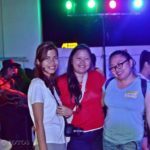 A year ago, I was just starting to learn the basics of blogging. I got my free blog account, around 3 blog posts and a very empty site. I did not have someone to help me out so everything was Googled. All I wanted was to share my photos outside of Facebook but I doubted if I can keep up with this new found interest. 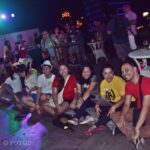 Everything started to change when I began attending events where I met new friends from the Cebu Blogging Community (CBC). 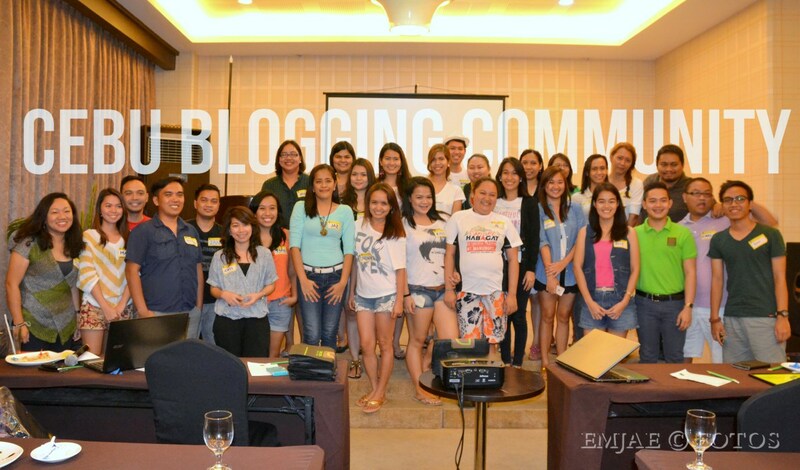 But it was the Social Good and Cebu Blogging Summit 2014 that really got me inspired. So when I heard of the CBC’s First Ultimate Meet Up and Pool Party, I made sure I wouldn’t miss it. 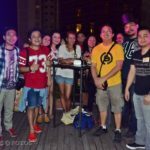 The event was held in Diamond Suites and Residences in Cebu City and they were very generous to let us use their function room and swimming pool. We had a quick room tour with one of the staff. The Diamond Suites Cebu have 102 Superior and Deluxe rooms along with 27 condominium units. I personally liked the ambiance and feel of the hotel. The artistic interior design is pleasant to the eyes and for me that is a big plus for comfort. First impression starts at the reception area and they nailed it. Lights and sounds were set up for the party vibe and the place was ours for the night. There was also a singer and guitarist that played country and classic songs. Pasta at the edge of the building? The night just got more fun with the talented bloggers taking over the mic and guitar. These guys are chillin, literally! 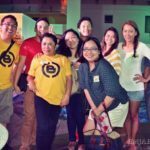 I am deeply thankful to the Cebu Blogging Community, Diamond Suites Hotel and Residences, Flawless Face and Body Clinic, Cebu Teambuilding Services, Cebu Domain, Philippine Information Agency and the people behind the event. More power to you guys and I hope to meet again these fun community especially those I haven’t got to bond yet. Ka nice sa imo photos Emjae! I will really drag you one of these days to teach me tricks and tips. Later na once maka afford nako ug prime lens hahaha! That was one fine day! I’m glad I went! It was the ultimate meetup indeed! I’m so glad I went and met all of you guys. I’m looking forward to more of these. 🙂 Also, your shots are great! I really need to get my photography skills updated. LOL. I can really spot Kiat Cebu on this post. Ga Ki-at lang nawong, hahaha. Love this first ever Meet Up, hope there’s more… Great shots there, Bai OMJae! Tama, maulaw ko sa akong pictures! Hahaha. Nice shots! I can see Jhanis and my back. LOL. And I haven’t joined the last part coz I had to go home early. Good decision of buying your own domain because you really have to show your photography skills out there! We are envious! We should join one of future events next time. Looking forward to meeting you and the rest some day. Happy blogging! oh wow! I look like Dora’s ate! Super time with my CBC gang! So nice to see all of you guys! Looking forward for the next meet-up! Thanks Emjae!